I remember the days where I wouldn’t even go near a pair of jeans if they weren’t skinny. Fast forward a few years and mom jeans are all I ever wear. 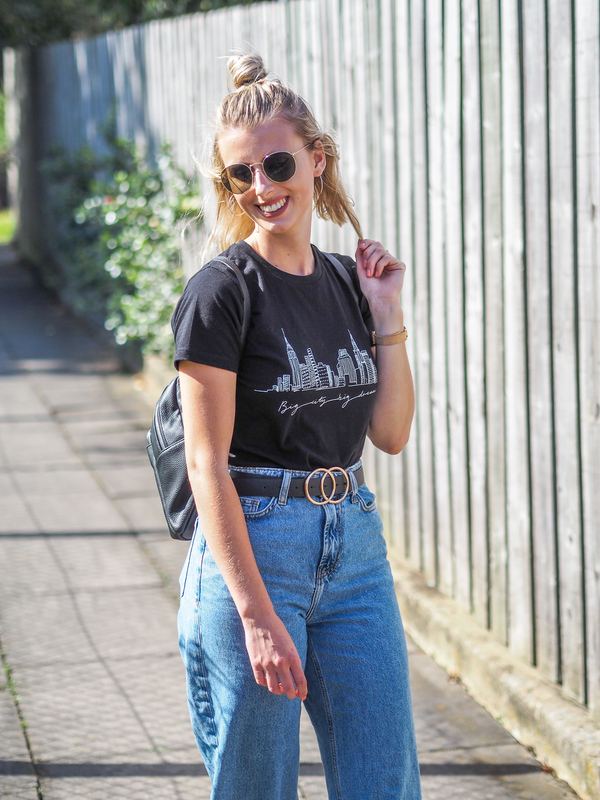 High waist, flattering and most importantly comfy, they’ve been my go-to for casual day wear, and even the ‘pair of jeans and a nice top’ combo. Times change though, and it was time to give another style a go. 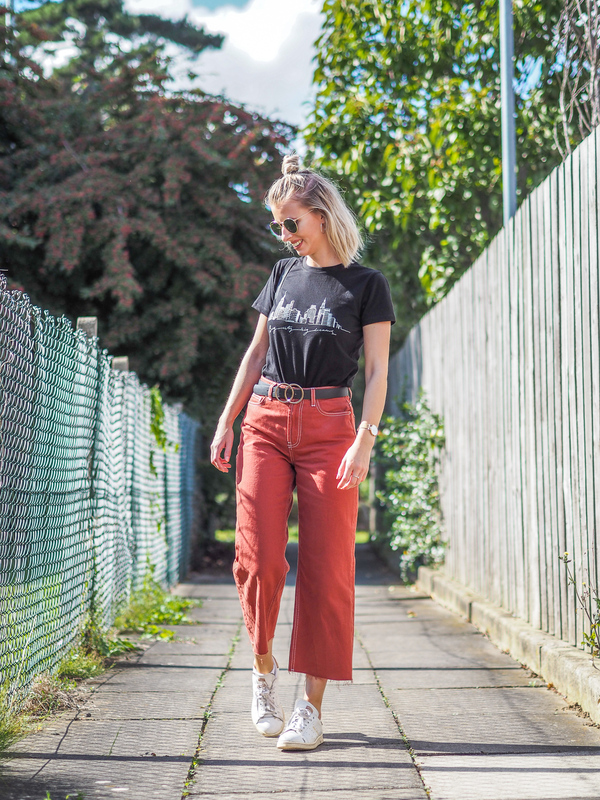 In come the wide leg crops. 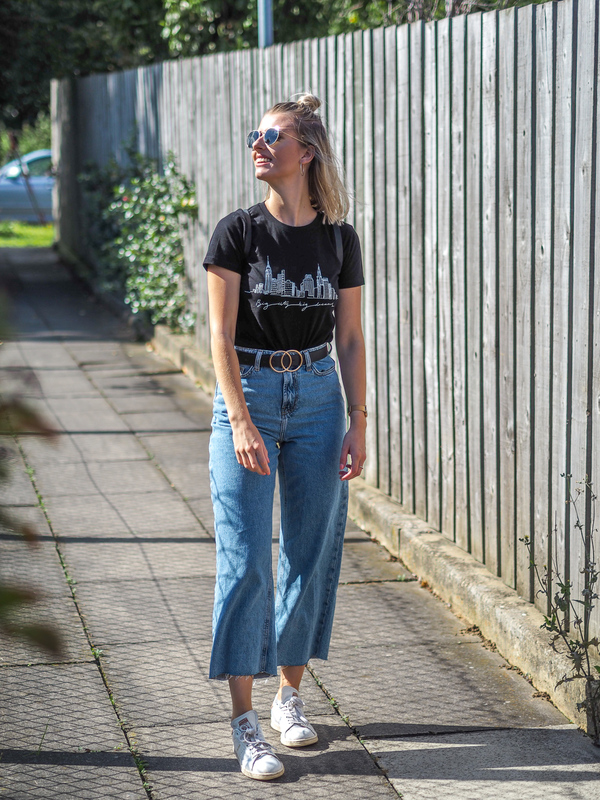 I feel the wide leg crop style to be one hell of a lot riskier. Skinnies are safe, they’re tight and always flattering. 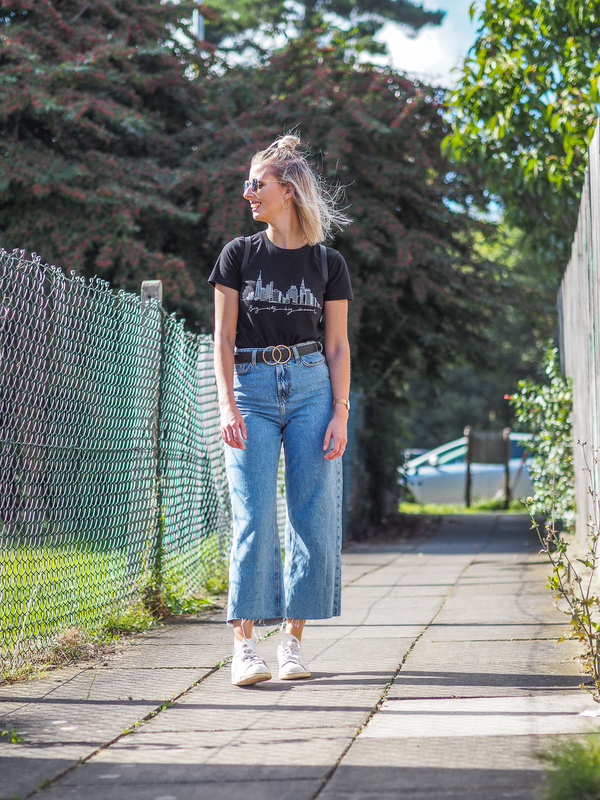 Mom jeans pushed the boat out a bit more, but wide leg takes it even further. They feel a lot different for me and aren’t quite a safe, which somehow makes me love them even more. 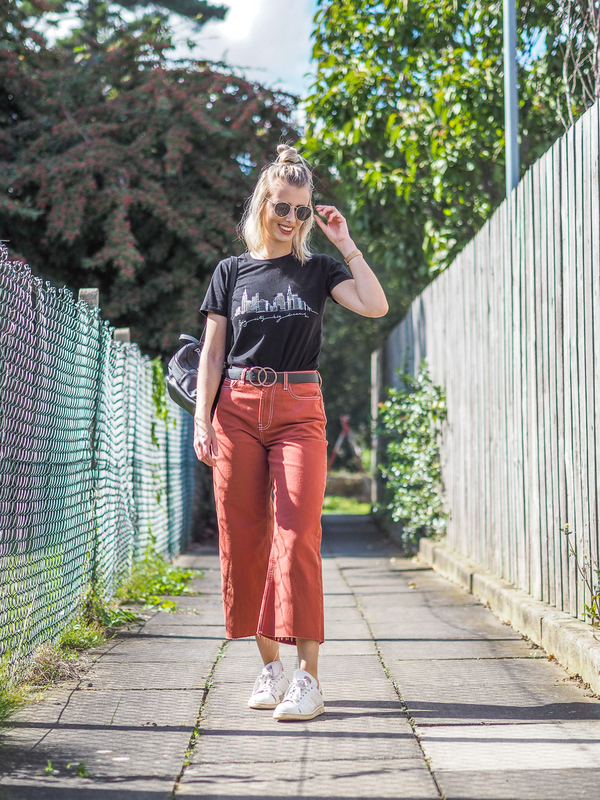 You know when you wear something new, out of your comfort zone, it can actually make you feel 10 times more confident than something you’re used to? These jeans make me feel just that. They’re different, and I like knowing I’m trying something new and giving it a go. 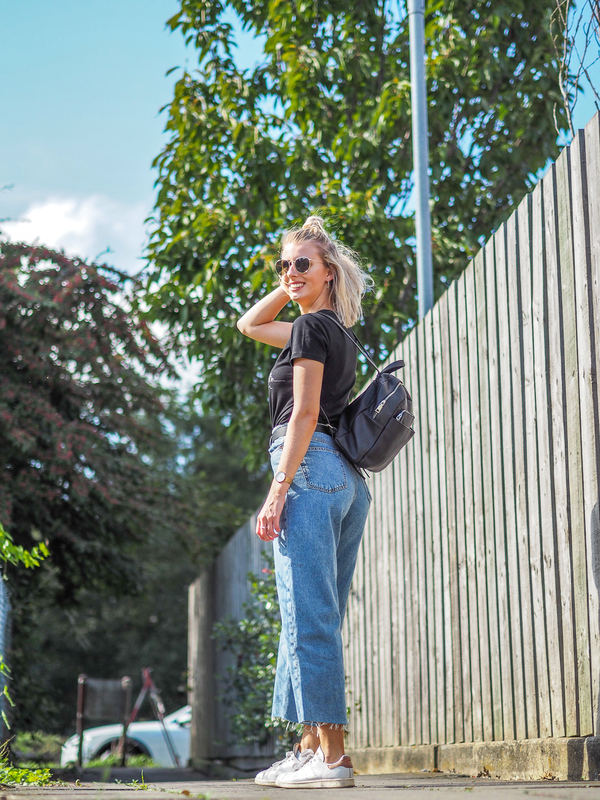 Plus baggier than skinnies and mom jeans = the comfiest jeans to date. 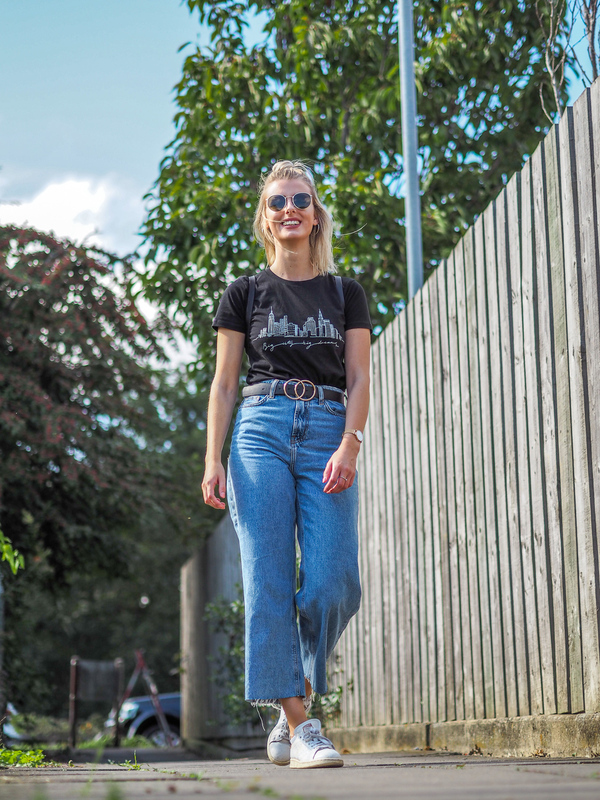 I picked both of these pairs of jeans from Primark. Each cost £15 so I figured I’d give it a go, and even if they weren’t for me I didn’t break the bank for them right? Turns out there was nothing to worry about, I’ve been wearing non-stop. The dark red colour was another new thing for me. I only own blue or black jeans, so it’s nice to have the option of something else in the wardrobe. 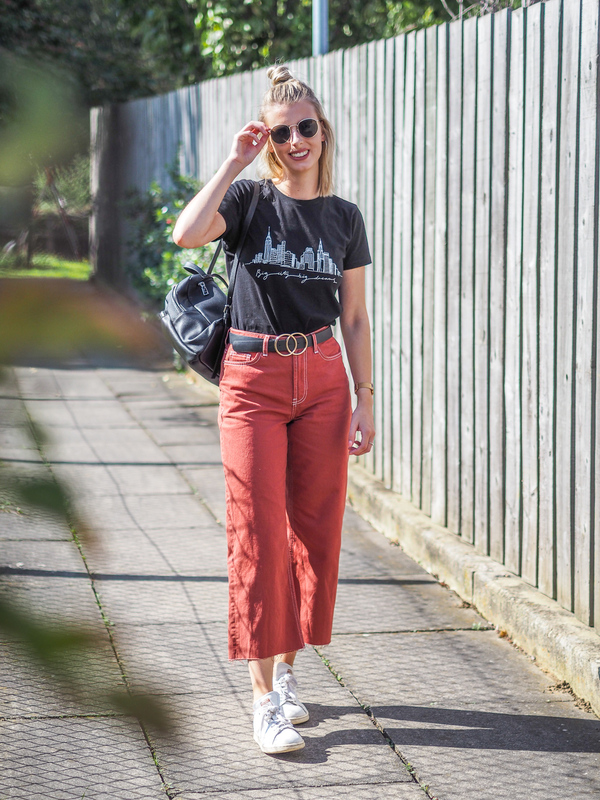 I’ve been wearing these dressed down and casual like I did here with my trusty Stan Smith trainers (deffo need to invest in some new ones soon), but they can be smartened up too believe it or not! 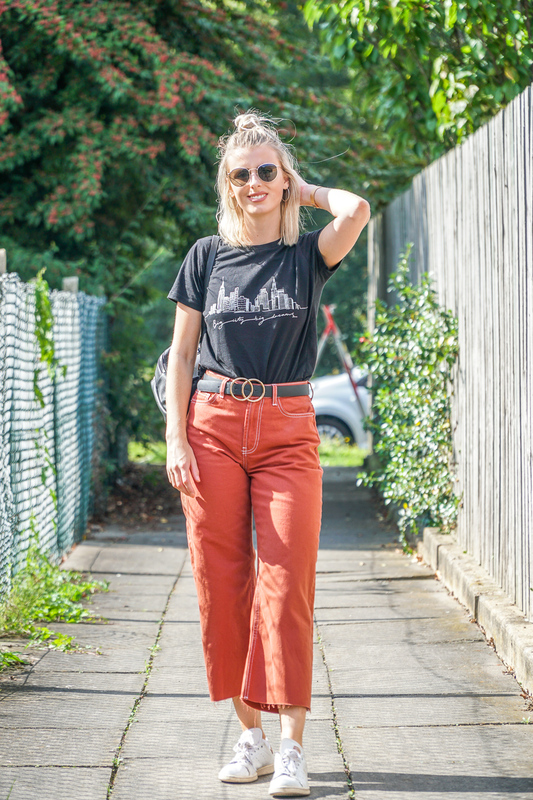 I always thought only skinnies could look good with some little heeled boots and a shirt, but I might go as far as to say wide leg crops look better. They’re so much more versatile than I expected them to be. 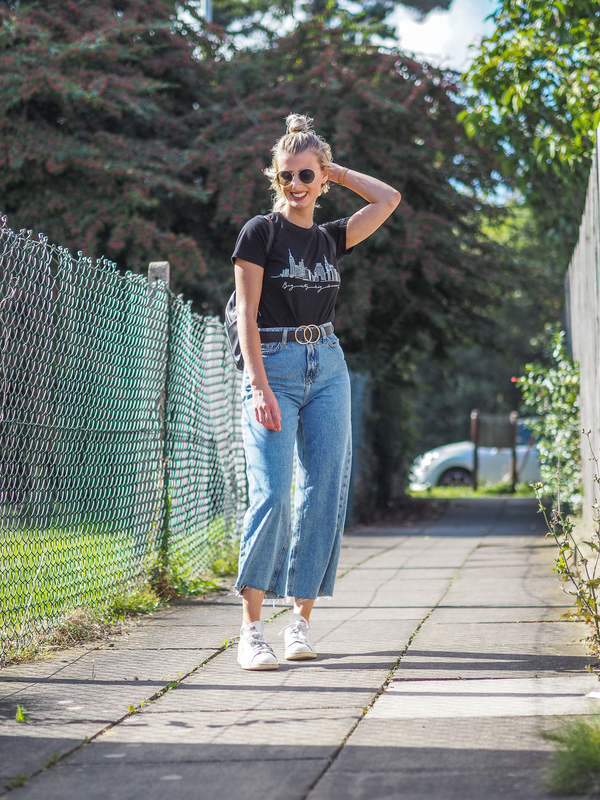 Have you given the wide leg cropped jeans a go? Or are you tempted?